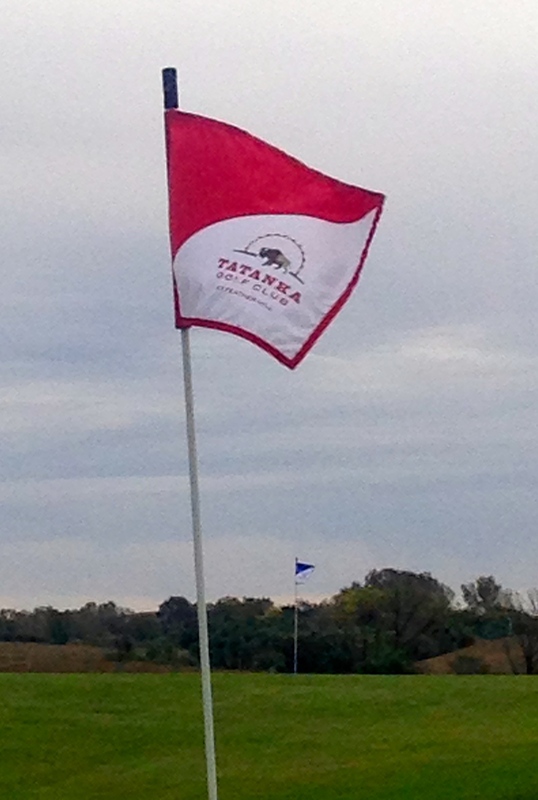 Golfers can seemingly see forever during a round at Nebraska’s Tatanka course. NIOBRARA, Neb. – Unfortunately, this doesn’t happen much anymore. New courses are rare, and most of those are created as renovations. 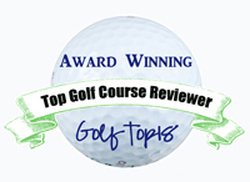 They’re not really built from scratch; they’re built over existing golf courses. It’s great that there are more renovations now than there were the last few, economically difficult, years. Some are good-looking courses, like Tom Doak’s creation of a new No. 1 Course at Medinah Country Club. 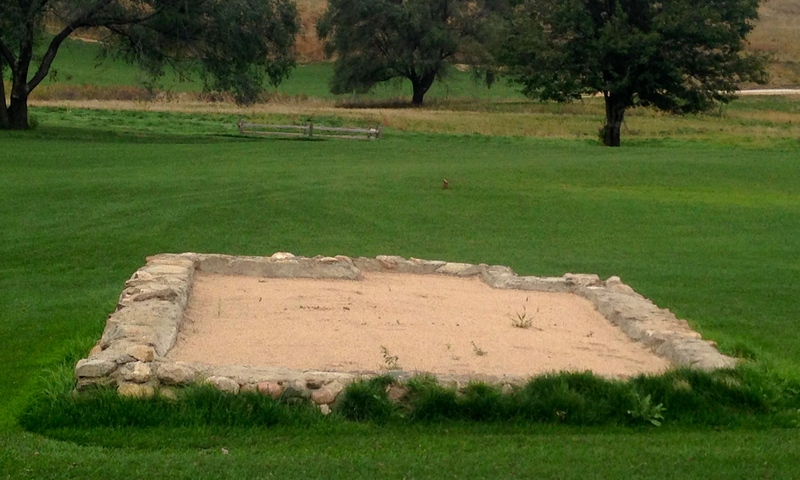 Tatanka Golf Club, is no renovation, though. It opened in mid-September after nearly three years in the construction process on land that had most recently been a homestead. 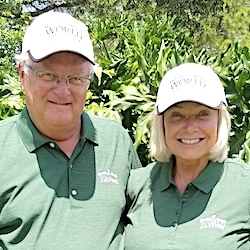 Michigan architect Paul Albanese created a full-fledged, championship golf course — priced in the $5 million range – on fresh land in northeastern Nebraska, which is hardly a hotbed for golf courses. Nos. 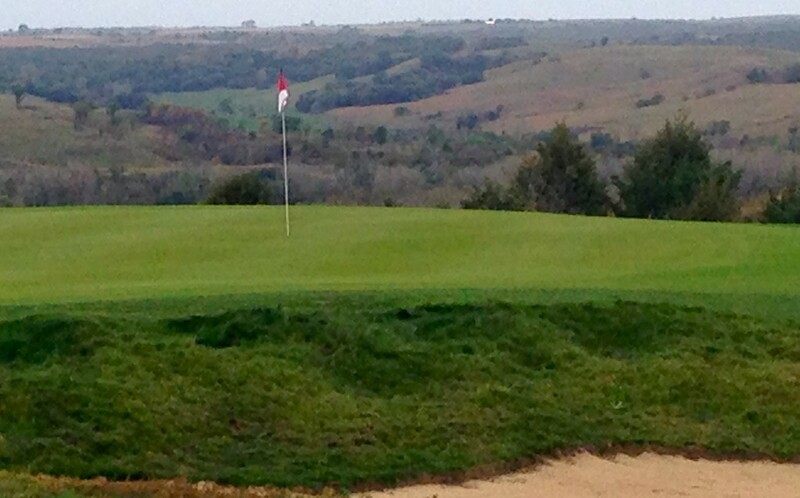 9 and 18 share the same huge green at Tatanka, which has two such striking double greens. At least that’s what the Santee Sioux Nation is counting on when it decided to add a golf course to its Ohiya Casino and turn it into a resort on the outskirts of a town with just 375 residents. Ohiya, which opened 17 years ago, is the oldest casino in Nebraska. It’s now in its third location and has an accompanying 48-room hotel. 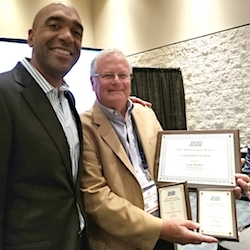 Though still small, it’s growing and the golf course figures to keep the momentum going among the residents of Nebraska, Iowa, South Dakota and even Minnesota. They can all benefit from having a new upscale golf course nearby. 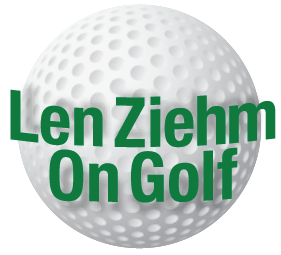 Albanese created the course on 300 acres, but there’s about 700 available around the casino. 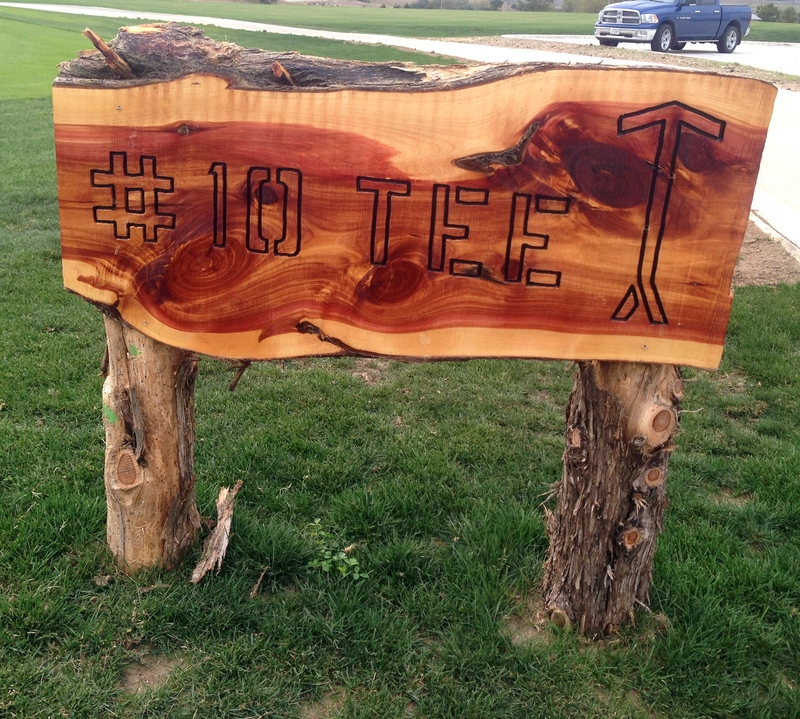 The course won’t hold its grand opening until next May, but golfers are already discovering the place. Several came three times from Omaha in the first month the course was open. The layout has barely a flat spot. It’s surrounded by stunning, all-natural views and has some special touches. Albanese included two double-greens in his design (on holes 3 and 16 and No. 9 and 18). He also made it possible for buffalo to factor into the rounds played there. Tatanka is the Indian word for buffalo. At least three bodies are believed to be buried at this gravesite on Tatanka’s No. 3 fairway. 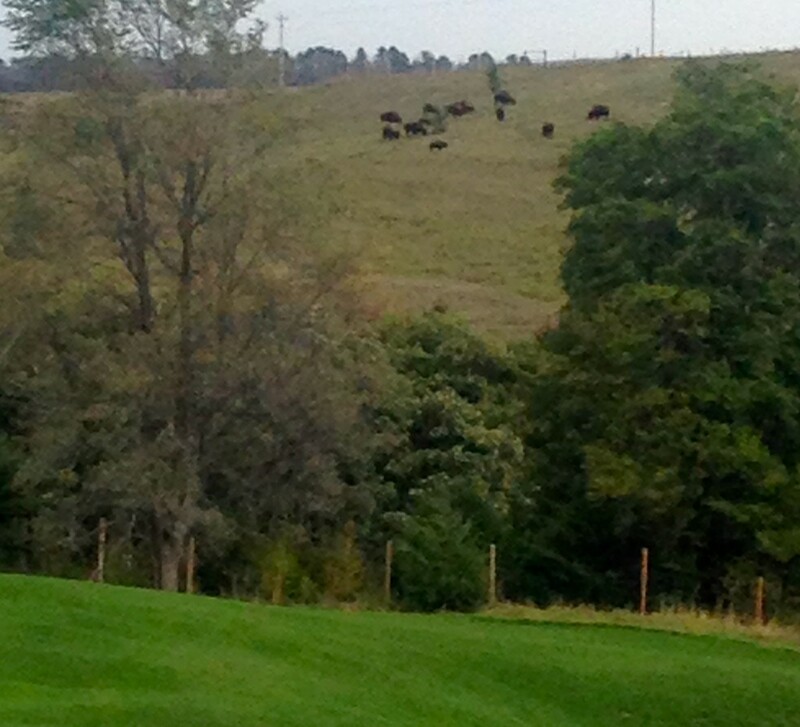 The buffalo are fenced in, but clearly evident – especially off the 13th hole. Given the mood of the herd, buffalo can get as close to 10-15 yards of the golfers. For example, the land for the course was purchased from a family that had a burial ground on it. The family wanted the burial ground, which includes at least three bodies, to remain and it’s prominently marked in the fairway leading to the No. 3 green. 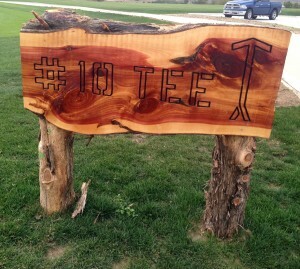 Tatanka’s on-course decor has a wood-themed look. Some of those undulations are extreme, suggesting that Tatanka will never lend itself to being a walking course. That’s no problem for a resort facility anyway. The fairways, though, are very generous and there’s plenty of length available. The course measures 7,450 yards from the tips with a rating of 75.7 and slope of 134 but it can play as short as 4,784 yards. The are six sets of tee placements. Tatanka won’t be in full operation until the spring of 2016. 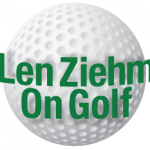 Bursheim has installed three simulators to stir golf interest among casino visitors during the winter months. When the course opens in the spring it’ll likely have GPS on the carts and the look will be a bit different than it is this fall. It’ll have new, wooden flagsticks, a general wood theme in its on-course atmosphere and full valet service will be available. Albanese had specific ideas on how the course should look. It’s reflected even in the Indian lore included on the scorecard. 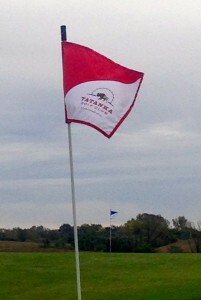 Buffalo are part of the scenery at Tatanka, and they can get much closer to the course than this.